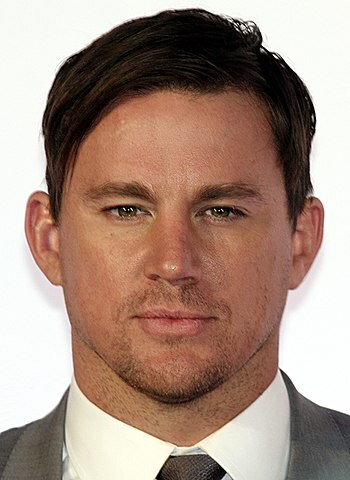 Channing Tatum was born in Cullman, Alabama, United States on April 26, 1980, is an American actor. Young Channing Tatum began his career as a fahion model and a dancer. He made his big screen debut in sports movie Coach Carter (2005) in role as Jason Lyle. Channing's breakthrough role came as Tyler Gage in romantic dance film Step Up (2006) opposite Jenna Dewan. He married actress and dancer Jenna Dewan on July 11, 2009 in Malibu, California, they have a daughter. He appeared in Ricky Martin's She Bangs video, for which he earned $400. His favorite film is The Goonies (1985). He played Bob Davenport in TV series CSI: Miami (2002). He featured in the advertising campaigns for Emporio Armani, Dolce & Gabbana, American Eagle Outfitters, Abercrombie & Fitch and Nautica. He practice martial arts Wah-lum, Capoeira, Kung Fu and Gor-Chor.